No More Idols is the second album by British duo Chase and Status. For almost every song they have enlisted a different singer, which is a good way to draw some attention to themselves with the likes of Plan B, Cee-Lo Green and Dizzee Rascal all making appearances but this ultimately backfires and makes No More Idols sounds like a compilation rather than an original studio album. Each song sounds like it was written specifically with the singer in mind, turning No More Idols into a commercialised portfolio for Chase and Status to show off their creative muscles by jumping between drum and bass, dubstep and hip hop to display their versatility as producers. The songs have been roughly arranged into 3 different styles; starting out with dance orientated songs that transition into the rap inspired portion of the album before tailing off into some quieter, ballad-esque songs as the album winds down. 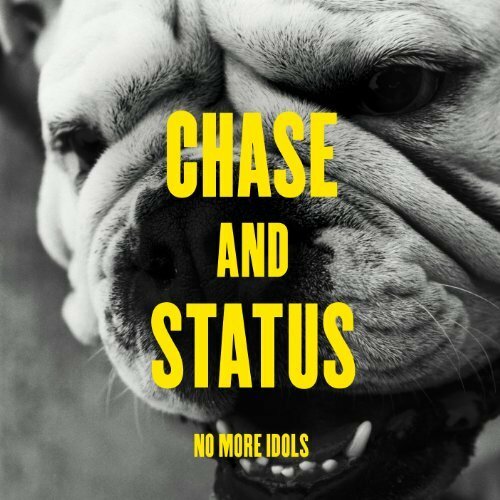 As individual songs they are accessible to a wide audience but when they are put together to form a whole album it immediately turns into a disjointed collection that lost focus the moment producers Chase and Status enlisted an all-star cast to front their efforts.